The first Friday of the months, fill the family up with bottomless plates of signature classics and some good ‘ole Southern hospitality. Click the link above for this month’s menu. The Annual Budweiser Smoke on the Water BBQ Competition is a Florida BBQ Association’s State Championship. Funds raised benefit the Citrus Center Boys & Girls Clubs of Winter Haven, Lake Wales and Haines City. Cost: Free admission; Food and beverages for purchase. From 5pm on, $13.95 gets you BBQ Pork Loin Ribs served with loaded potato salad, burnt end baked beans and garlic bread. Choose from a variety of seafood, meat and vegetarian dishes all cooked fresh on site by local restaurants and food purveyors. Seafood dishes are prepared using only the freshest local and sustainable ocean resources from the Florida Gulf Coast. There will also be live music and an arts/crafts marketplace. As part of the festival, special dishes prepared with an artistic flair with be available to sample. Join Executive Chef Fabrizio Schenardi, born and raised in Italy, for an incredible five-course Italian wine pairing dinner with Regione Piemonte. Schenardi will welcome special guest chef Enrico Pivieri, owner of restaurant Cavallo Scosso in Italy. The menu will will feature the exclusive white Alba truffle from Italy. Celebrate the official grand opening with food, music and drinks, plus live music. Enjoy tacos from the Jacked Up Tacos food truck along with a DJ’s soundtrack of Trip Hop, down tempo, and hip hop, and adult beverages from Swirlery. Learn how to make Grilled pork Noodle, and taste it. Please RSVP as seats are limited — (407) 647-7700 – Maitland Library front desk. Enjoy a 4-course dinner with beer pairings from Cask & Larder Brewery and guest Edmunds Oast Brewery of South Carolina. Celebrate Chinese New Year at 5:45pm with performances including a lion dance with a kung fu demonstration. Guests will be given traditional red envelopes that they can use to tip performers. There’s more… giveaways will be handed out in traditional red envelopes, as well. Some lucky guests will receive $5 Hawkers Bonus Fare or a FREE roti, wok-fired lettuce, or edamame. Celebrate Chinese New Year at 6:30pm with performances including a lion dance with a kung fu demonstration. Guests will be given traditional red envelopes that they can use to tip performers. There’s more… giveaways will be handed out in traditional red envelopes, as well. Some lucky guests will receive $5 Hawkers Bonus Fare or a FREE roti, wok-fired lettuce, or edamame. Celebrate Chinese New Year at 3:30pm with performances including a lion dance with a kung fu demonstration. Guests will be given traditional red envelopes that they can use to tip performers. There’s more… giveaways will be handed out in traditional red envelopes, as well. Some lucky guests will receive $5 Hawkers Bonus Fare or a FREE roti, wok-fired lettuce, or edamame. Celebrate the Chinese New Year at 12:30pm with Lion Dancing and a Kung Fu Exhibition. Explore the rich flavors, textures, and benefits of the other delicious whole grain options such as millet, amaranth, farro, teff, and buckwheat. Enjoy learning about the grains with a food demonstration and tasting. Justin Baldwin, founder of JUSTIN Vineyards, will showcase six of his wines. Celebrate with a bacon cutting ceremony at 10am, and enjoy samples throughout the store. All you can drink wine, sangria & draft Tecate light and ALL YOU CAN EAT small buffet. The Ribbon Cutting Ceremony is at 11:30am for this new fast-casual salad restaurant. During this free one-hour information session you will learn more about who is hungry in our community and then take a walking tour of the food bank to see how they operate. Lunch is also provided. From 6pm-9pm, enjoy a Vegan Wild Mushroom-Truffle Oil Mac & Cheese at this weekly pop-up. This event is a beer-infused four-course dinner masterfully paired with some of Persimmon Hollows biggest hits including, “Beach Hippie”, “Funky Freddy Fitz”, “3 Wise-Guys” and more. Quantum Leap Winery, Orlando – Wine, Cheese and Chocolate Perfectly Paired! Taste and experience how wine and food interact through the thoughtful pairings of 5 wines, 4 cheeses, and 4 Peterbrooke Chocolatier of Winter Park chocolate confections in this often sold-out class. Festivities begin at 11am with the first 100 guests receiving a gift card for a free salad or wrap on their next visit. 25 percent of opening day’s sales will benefit Sports 4 The Kids. Enjoy a menu featuring A Spoon Full of Hope line of products from Second Harvest. The evening benefits their Darden Foundation Community Kitchen’s Culinary Training Program. Enjoy a five-course dinner event featuring wines from Terra Valentine Winery. Loews Royal Pacific Resort at Universal Orlando – Jake’s Beer Dinner feat.Sailfish B Brewing Co. Taking place only a handful of times each year, the dinner features five expertly prepared dinner courses that the hotel’s award-winning chefs pair with local or regional specialty craft beers. BBQ Sample tickets will be available for purchase. They are $10 which gets you 5 meat samples and 2 sides. Proceeds benefit the United Way of Central Florida. From 5pm on, $12.95 gets you a 1/2 Charcoal Fired Chiavettas Chicken served with fresh cucumber & tomato salad. From 4:30pm-Midnight, enjoy over 50 beers, great wine, house made red sangria, delicious appetizers, and more. From 6pm-9pm, CheChe’s Vegan will offer Garlic Herb Chick’n or Steak Mofongo, Caribbean beans & rice at this pop-up. Enjoy BBQ for purchase, along with live music, and more, starting at 4pm. The 10th Annual DeLand Beer Festival features over 100 suppliers of beer, wine, cider, mead, and spirits with a focus on locally owned businesses. Tickets include unlimited samplings. Win amazing gift baskets from the Apothecary department, plus local vendors will be sampling their products, and more. Learn how to make Neapolitan Pizza like a certified Pizzaiolo, then enjoy it. Plus get a $10 off $50+ coupon for a future visit. Two class times. Live music from the Cumberland Gap band 11am-5pm, kids zone, BBQ food vendors & merchants, pulled pork people’s choice tasting from 11:15am-2pm, Chili Cook-off tasting from 3-5pm. See unique handcrafted art on display while strolling Historic Beach Street with your favorite sweetheart or friends, and sample wonderful wine and scrumptious chocolate. Enjoy tacos from 30+ vendors, live music, taco themed games and more. Discover globally inspired flavors while enjoying local craft beers and beverages from around the world every weekend, along with headliner entertainment, through May 5. Enjoy a tasting and education on cheese with Dan the Cheese Man to find out what’s behind the rind. This class will include cheese samples and pairings with products from The Ancient Olive. This book club dinner menu features some much-needed comfort food: Smoky Corn Chowder topped with fan favorite Cornbread CrabCakes. For dessert, Irie Cream Kebabs. Pass package include 10 samples from over 70 beers, one general admission ticket to the DAYTONA 500 Qualifying By Kroger and the Advance Auto Parts Clash, and a collectible mini beer mug and lanyard. Receive a complimentary Bolay Bol with a Social Media Check-In, and get to meet the team that makes it all happen. a four course dinner with special wines from Arrowood Winery. Winemaker Kristina Shideler will be your host for this special dinner. Each Day will signify a special milestone and highlight some core beers as well as new beers from Bowigens. Enjoy select wines and sparkling wines, as well as gourmet foods from each of the hotel’s restaurants. Visit each wine and food station as often as you like throughout the evening. Plus, enjoy live music by Martini Pop and dancing. Pick up your Hand Cut Choice 12oz. New York Strip at Without A Paddle Café and spice it up your way. Then step up to one of the 6ft. Grills by the River and grill it to your liking. Price includes salad bar and sides. Add a 5-6oz. Lobster Tail for $12.95. Food Trucks of all kinds will be out incorporating chocolate into their menu, in foods both sweet and savory. Tickets include a souvenir tasting glass, unlimited beer and bourbon sampling, and all live entertainment. VIP includes BBQ samples. General will have samples for purchase. Enjoy a day at Festival Park, sampling from 100+ chili booths, crafted by local restaurants and nationwide chefs. Dig into food truck fare, beer and wine, and family-friendly refreshments. Experience live music, games, vendors, a DJ station, and the Kids Zone. Orlando Chili Cook-off 10 Year Anniversary is proud to benefit The Camaraderie Foundation. Featuring 50+ wines from all over the world, a local vendor market, food trucks, VIP lounge, and more. This Vegan Soul Food truck will be offering Fried Chickun, BBQ, Mac N Cheeze, Beer-Cheeze Battered Beyond Burgers, Jambalaya, Cajun Corn, Greens, and more. The menu will celebrate cheese, like lobster mac and cheese, and include wine pairings. Alyssa with Alyssa Makes Something, is going to walk you through how to personalize your own cutting board with a wood burner and then teach how to craft the perfect charcuterie board. Cost: One Beef Roulade, red cabbage and dumplings for $16.79. Add an additional Roulade for $5. Beef Rouladen are back for this night. The German traditional dish Rinderrouladen (beef rouladen) consists of thin slices of beef rolled up with bacon, onion, mustard and pickles, served with sweet red cabbage, potato dumplings and a rich demi-glace sauce. This is a special installment of the Bull & Bear Master Blenders series, featuring The Macallan Highland Single Malt Scotch Whisky. Hosted by whisky specialist Erin Yesser, this fully-immersive happy-hour invites you to sip and savor some of the world’s finest single malt Scotch whiskies expertly-paired with hand-selected artisan cheeses by the Bull & Bear culinary team. Join Capa for an unforgettable 6-course wine pairing dinner prepared by Benjamin Patissier, Meilleur Ouvrier de France 2015, alongside Capa Chef Gabriel Massip. Located at The Marketplace at Dr. Phillips. Niccolo Maltinti, Antinori US Brand Ambassador will guide you through the tasting of some world class wines while the Aprons Cooking School chefs will recreate traditional Italian dishes that were created by Chef Matia of Osteria a Passignano at the Antinori winery in Tuscany, Italy. Enjoy an evening of French wine and food with Chef Vincent Gagliano of Chez Vincent Restaurant. 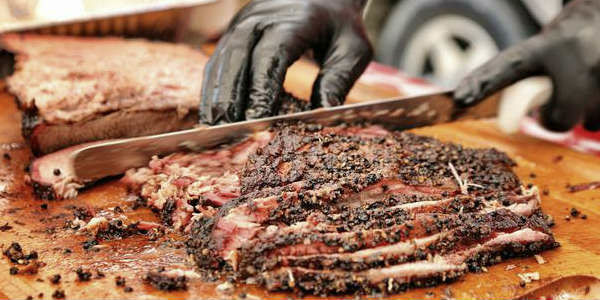 Ribs on the Ridge also draws barbecue teams from across Florida and the nation. This year’s event will benefit KidsPACK, an organization that feeds food insecure children in and around Polk County. Musical acts include: national recording country artist Craig Cambell and local superstar Kenzie Wheeler. Orlando Weekly hosts this new event that features 30+ restaurants and chefs offering up their take on burgers, all priced at $5 a serving. They will even be printing Burger Passports for participants to get stamped at participating locations throughout the week. Collect at least 4 stamps and be eligible for a very special grand prize drawing. Taste some amazing brews from local and regional breweries. Tickets include UNLIMITED beer tastings. Food from local vendors available for purchase. Enjoy 50+ brunch dishes from 12+ food Vendors, plus 20+ brunch cocktails and 20+ craft beers. This Fun Packed Chili theme event will give you experiences such as Celebrity Chopped Chili Battle, Celebrity Chili Eating Contest, and of course your favorite Chili themed Foodtruck items. This unique event is a qualifying round for a national chili cook-off competition and you can sample it all. While you’re there experience live music, quality vendors, a Kids Zone, and of course a craft beer festival. Featuring locally sourced dishes by Walt Disney World chefs with wine, beer and cocktail pairings; live music; farm tours and more. 100% of Event Proceeds to Benefit Second Harvest Kids Cafe. Celebrate six years of success with new beer releases and live music all night. Admission includes beer samples of specialty, one off or rare beers from all of your favorite Central Florida Breweries. There will also be food trucks, live music, and more. The mixologist will teach you to make three cocktails that you will be able to enjoy during the evening. The pastry chef will also teach you how to decorate three cupcakes that you can enjoy with your cocktails or take home after the event. Feast on Crawfish Boil and Jambalaya, $3 Abita Cans and $15 Abita Buckets. Enjoy mouth-watering dishes from some of Orlando’s premier restaurants, over 50 domestic and international wines, and live entertainment ranging from DJ’s to national headliners. Come enjoy some amazing chili cooked with Local Craft Beer. Fire Trucks will be on display (2pm to 4pm). Live music on the stage from 1pm-8pm. Celebrate the launch of Orlando’s Levy’s Ice Cream, started by Orlando chef Warren Levy. Come and see FTC Baking and Pastry students compete in the category of the best cake. Special guest judge will be Kissimmee’s own Pastry Chef Elaine Duran, who appeared on Food Network’s Cake Wars and on TLC’s show “Next Great Baker.” There will also be cake samples, and more. Menu includes a New Orleans inspired four-course dinner with Mardi Gras themed cocktails. This event features creative chili dishes by popular local and favorite restaurants in the central Florida area. Event proceeds will benefit the Rotary Club of Winter Park Charitable Foundation. Learn the steps to make Pasta Fagioli, Zucchini Stew, and Escarole and Beans. All attendees will delight in sampling all of the soups as well, along with some fresh locally made crusty bread and a champagne toast. Best of all, everyone will go home with a quart of Pasta Fagioli. Chef/Owner John Calloway of Black Rooster Taqueria will show he puts a twist on Latin flavors with bold, fresh spices for a modern Mexican steak taco and whips up, scratch, organic corn tortilla by hand alongside garden inspired guacamole. The Cala La Pasta food truck will be visiting & guitarist John Maz will be rocking light rock tunes from 1975-1981.